Southern California natives Fred and Linda Valdespino are no strangers to Las Vegas. Frequent visitors to the city for years, they often spent their time in Downtown Las Vegas where they and their family, which includes four sons, fell in love with the area’s diverse culture and dynamic restaurant and bar scene years ago. “When the boys were little, the Shark Tank at Golden Nugget Las Vegas was a popular attraction for us, so naturally, we began taking an interest in this area. A few years ago, Fred and I were enjoying drinks and people-watching at Hennessey’s Tavern at Fremont Street Experience and I nonchalantly looked over to him and said, ‘we should move here!’ Of course, he laughed and brushed it off but when we finally started looking at where we’d spend our golden years, I had my heart set on Vegas,” Linda said. The couple explored Arizona’s Lake Havasu area, but something kept drawing them back to Las Vegas. After spending years in a single-family home, which required too much upkeep for Linda’s preference, she encouraged Fred to look at high-rise communities for their walkability and low-maintenance lifestyle. 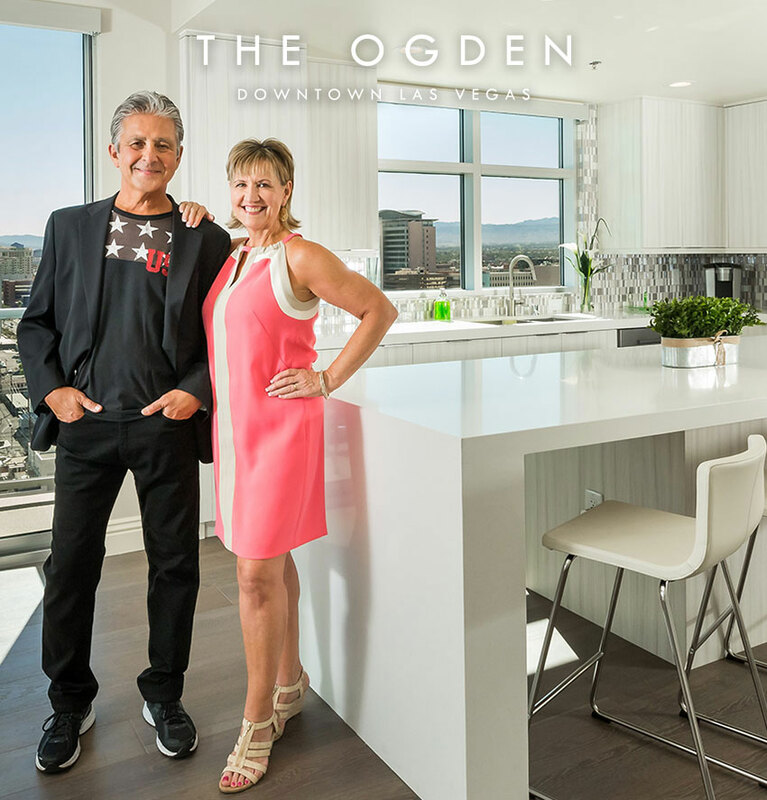 While they checked out multiple communities, the couple chose The Ogden. “There was something different about The Ogden from the moment we walked in. Something told me we were home. We purchased a two-bedroom, two-bath residence in December 2016 and haven’t been happier. The resident amenities are just wonderful. From the state-of-the-art fitness center where I enjoy running on the treadmill while taking in the view, to the rooftop pool, which is a favorite of our grandchildren, we couldn’t have asked for more in our new home. And Fred loves using the outdoor patio and barbecue area to entertain guests,” Linda said. 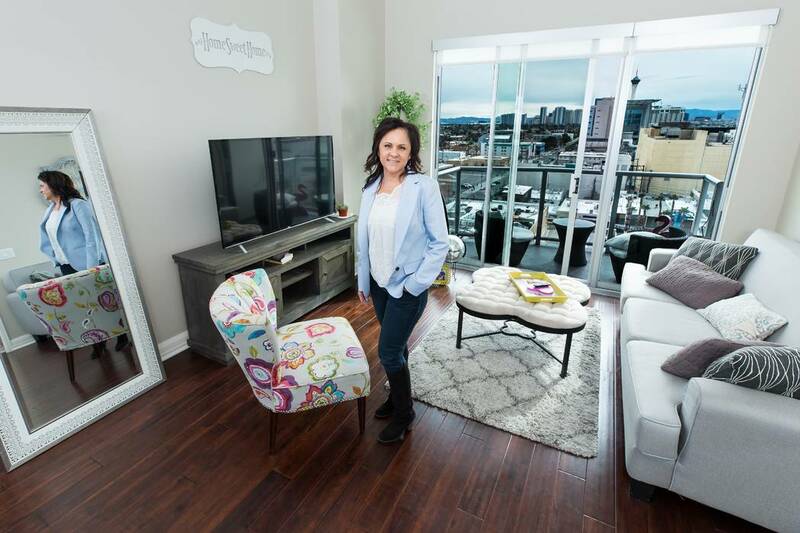 A seasoned Realtor, Linda obtained her Nevada license and continues to work from home at The Ogden, while Fred commutes regularly between his job in Southern California and Las Vegas. She also created Bubbles and Brews Vegas, a vintage mobile bar that offers pop-up service valleywide but spends most of the time in Downtown Las Vegas because of immediate access to millions of tourists. “One of the things I love about being here is not having to actually get in my car to do things, because the public transportation system is so great in this area, and I can basically walk to most places. I use Instacart to order groceries and with a stellar concierge team here, I never have to worry about deliveries and packages. And while some of our favorite hotspots like Downtown Grand and El Cortez are just a short stroll from home, we also enjoy just sitting on our balcony and taking in the scene around the us. I can’t wait for Fred to retire in a couple years and join me here full-time,” Linda said.